Any hand that is 8" in circumference. Mittens with everyone’s favourite garden (or house) buddy, the hedgehog trotting across their cuffs. Named for the giant (imaginary?) hedgehog who would stalk Dinsdale Piranha in the Monty Python sketch ’The Piranha Brothers.’ Spiny Norman is mentioned at the beginning of this bit. 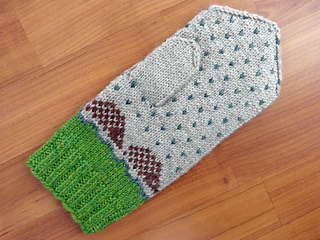 Instructions are provided for making both regular and fingerless mittens. 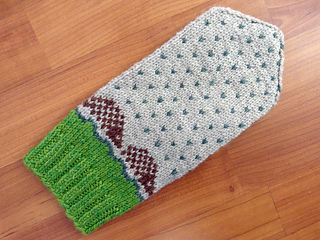 A great pattern to try if you’re colourwork-curious and you’ve never tried it before.